When our homes aren’t smelling fresh, many of us reach for air fresheners. However, these products contain lots of chemicals that aren’t good for our health. To freshen your home naturally, use these five tricks instead. Letting some fresh air into your home can make a big difference in your indoor air quality. Periodically open your windows to cycle out stale air, and expel lingering odors. Hopefully, you’re changing your HVAC filters regularly to keep the air clean in your home. But you also need to have your air ducts cleaned professionally. An HVAC expert can use special vacuums and tools designed for this task to reach places you can’t on your own. Also, remember to vacuum out your dryer vents and ducts a few times a year. Don’t reach for an aerosol spray when you need to freshen the air in your home. Instead, use natural solutions that won’t trigger asthma symptoms and contribute to other serious health complications. Baking soda, for example, absorbs odors naturally, which is why people typically place an open box inside their refrigerators. 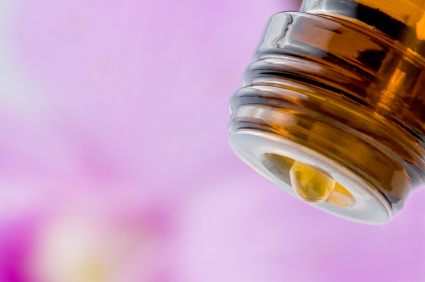 Essential oils, which are made using plants and herbs, are also a safe natural alternative to aerosol sprays and other fresheners laden with dangerous chemicals. Mold requires moisture to grow, so even though you’re constantly running detergent and clean water through your washing machine, you need to periodically clean the appliance to avoid mustiness and prevent mold and mildew growth. Fill up your washing machine without a load and let it sit with just hot water and two cups of vinegar. Scrub and drain to clean the washer. You can also mix some vinegar in with a normal wash to give your clothes a better clean and a fresher smell. Use baking soda to clean and freshen your washer and dryer as well. Citrus peels in the garbage disposal:When you eat oranges, grapefruits, lemons, or other citrus fruits, don’t throw out the rinds. Instead, freeze them in ice cubes and throw them down your garbage disposal to clean your sink. Cornstarch, baking soda, and lavender:A DIY mix of cornstarch, baking soda, and lavender (or your favorite essential oil) can be used as a natural room freshener or be sprinkled on fabric and vacuumed out for a deep clean. Essential oils in your vacuum filter:You can also add a few drops of your preferred essential oil in your vacuum filter before cleaning. This will spread the wonderful scent throughout your home as you clean. Spraying harmful chemicals around is the opposite of what you want when you’re trying to freshen your home. Instead, open your windows and try some of the above recipes and tips to tidy up the all-natural way.